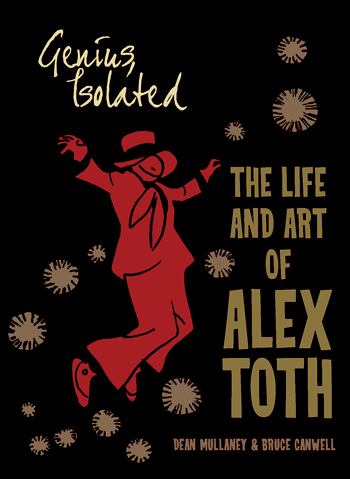 Just released is the beautifully-crafted first volume of a planned three-part biography of “artist’s artist” Alex Toth. While it arguably may not be the most comprehensive biography of a cartoonist ever done, given the extensive amount of artwork and full-length stories included in this outstanding oversized package that will ultimately comprise three volumes, it certainly ranks as the most ambitious. 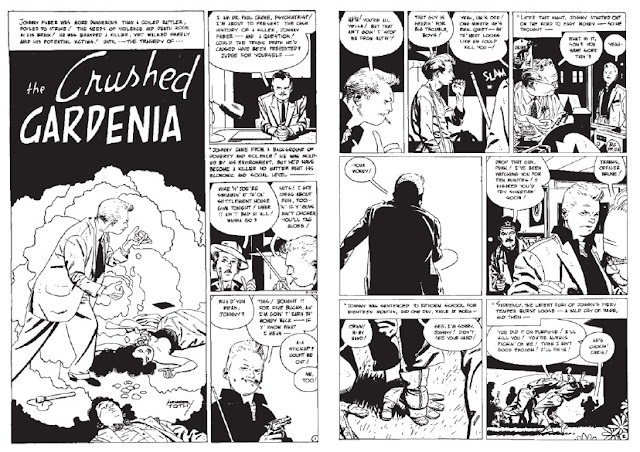 It's a tribute to Toth's continuing influence and the enduring quality of his work that, since his death in 2006, the artist's life and career continue to be examined despite the fact that he remains relatively unknown compared to more well known and commercially successful cartoonists like Charles Schulz and Milton Caniff who themselves have recently been the subject of serious biographies. 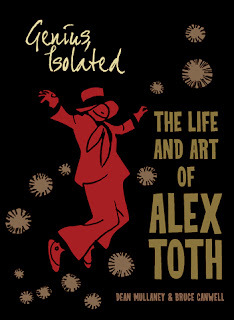 New collections of Toth's work, like Setting the Standard: Comics by Alex Toth 1952-1954, continue to be published and he already has been the subject of an excellent documentary I reviewed previously, entitled "Simplicity” that was included on the DVD collection, Space Boy and Dino Boy: The Complete Series. This first volume, entitled Genius, Isolated: The Life and Art of Alex Toth, by Dean Mullaney and Bruce Canwell, covers the period from the artist’s birth and childhood to his work at comic-book companies like National Periodicals (DC), Dell, Gold Key, Standard, and Western in the 1940s and ‘50s when Toth’s work fully matured and began to gain the notice and admiration of his fellow cartoonists, many of whom began trying to emulate him. (This was a time when comics distribution and creator credits were spotty, so few readers probably took notice until years later when Toth’s work became more sought after.) The volume concludes in the early 1960s when Toth—always his own worst enemy—left the industry in a pique one day when he entered the editorial offices of Western Comics and angrily read aloud his list of grievances. Understandably feeling that he had burned all bridges behind him, he stormed out of the office, likely believing his career in comics was over. As this suggests (and is now well known about the cartoonist), Toth was the quintessential tortured artist. Though he was a difficult personality who could end a relationship at the smallest perceived slight, it is a tribute to his talent and genius that he continued to be highly sought after by publishers and editors for work, and well respected and regarded by his contemporaries and later generations of artists. This is all well covered in the narrative, which included the participation of his four children and former spouses. Toth’s difficult personality is discussed candidly—though he was never medically diagnosed, it’s clear he likely suffered from some sort of personality disorder or clinical depression. Toth's personal life and his development and views as an artist are also discussed. 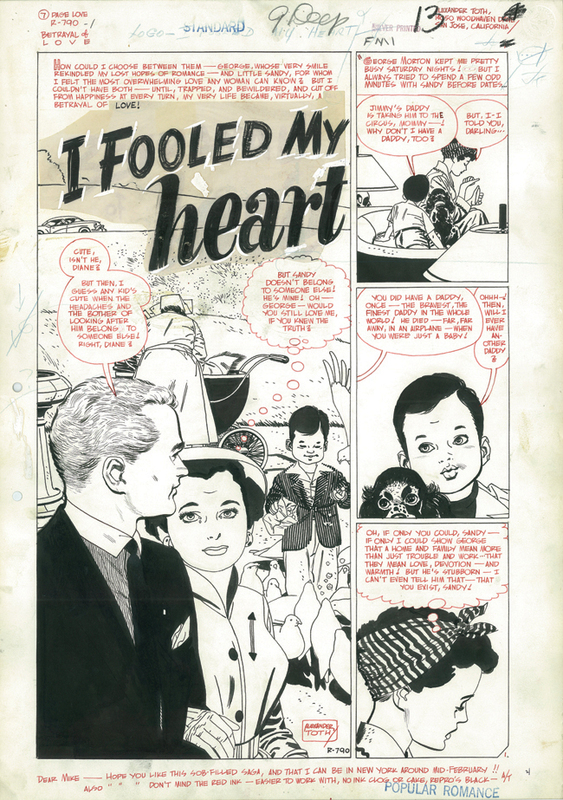 Above: Original art from a 1950's romance story. Toth did some of his best work in these stories, which he personally enjoyed doing as well, and other artists took notice. 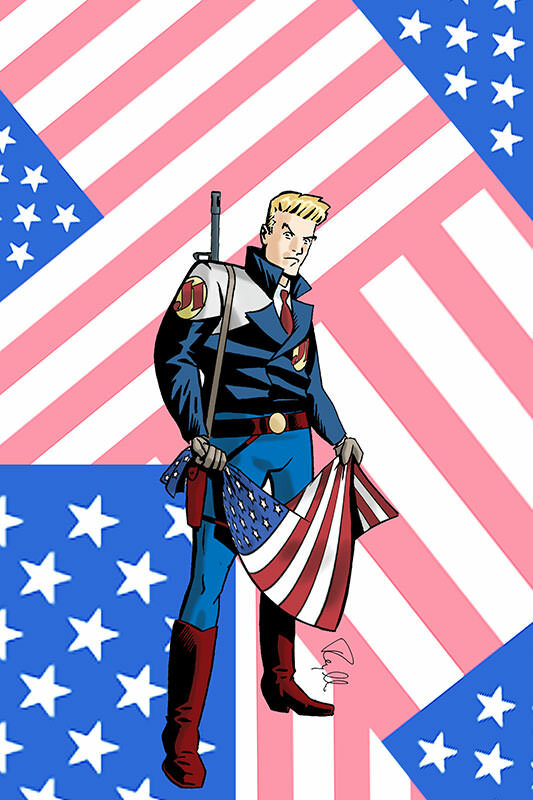 The next volume of the series, Genius, Illustrated, will likely cover his years “in the wilderness” as a journeyman cartoonist, which will be followed by Genius, Animated, about his years in animation, particularly Hanna Barbera, where he became the company’s go-to man in conceptualizing and storyboarding iconic animated shows like Super Friends, Jonny Quest, Space Ghost, and many others. Given the loving care and attention to this stunning new volume, there’s much to look forward to in volumes II and III. Meanwhile, anyone with an interest in Toth or comics art in general should savor this outstanding first volume. * Beating them to the punch by a few months is a full-color reprint collection of JON FURY IN JAPAN by Paul Power Publications, which I recently mentioned here. Man. I still can't believe I haven't got this yet. Haven't been to the comic stores lately. Looks great to see Toth's work shot from the originals. Benton: I just ordered it on Amazon, where it was a lot cheaper! James: Thanks for the link and your terrific review. I left a comment at your site as well.